The complex that makes up The Robert Wood Johnson Hospital in Somerville (formerly the Somerset Medical Center) is quite impression. The fourteen acre site has multiple buildings which house beds for over 300 patients, a cancer center, and an emergency center. As a historian this author wondered - where and when did this all begin? I do some research and learn that it all started just across the street in an old colonial home that looks nothing like a hospital. On that building a small plaque says “Site of The First Somerset Hospital 1901”. My obsession to learn its history and write about it begins. Before the turn of the century (1900) the sick and injured were cared for in the home. However, around that time the need for hospitals with their specialized care was emerging – thus some cities and municipalities would open hospitals. 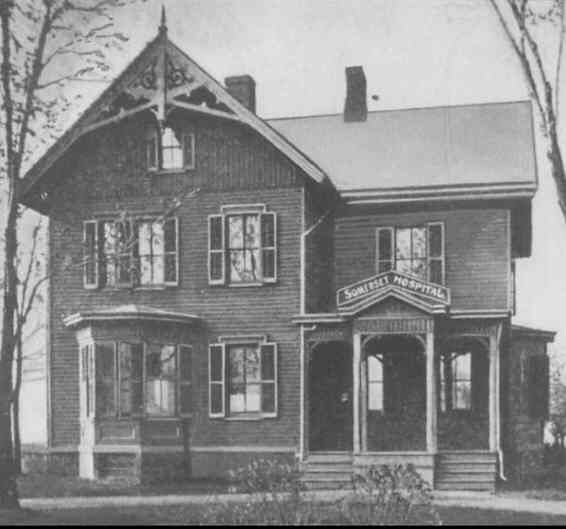 In 1877 Muhlenberg Hospital opened in Plainfield. But in 1898 the Somerville area lacked a hospital. From 1893 – mid 1898 there had been a room used for temporary emergency treatment (where the Somerville Post Office is today), but the maintenance proved too much for the volunteer staff, so it closed. One local newspaper owner David Messler felt strongly that a local hospital was needed. 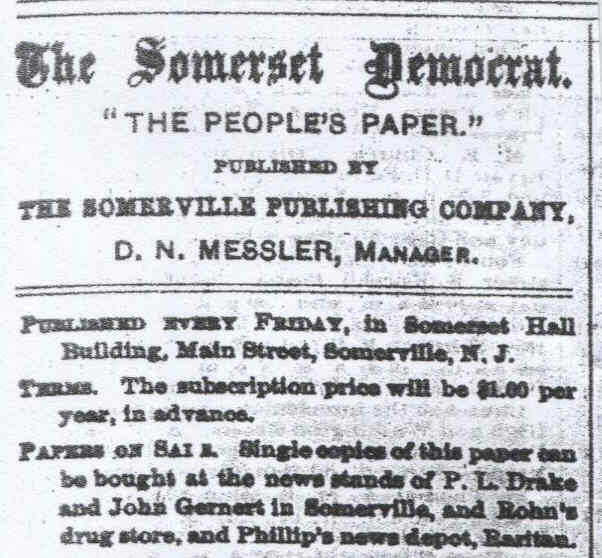 He decided to use his weekly newspaper “The Somerset Democrat” to rally the local community to raise funds and organize a hospital. In October of 1898 a worker was hit by a sledgehammer while working at a Somerville construction yard. With no where local to take him for proper care he died soon after. David Messler would use this tragedy to push for the creation of a hospital. On October 14th, 1898 the front page of his newspaper had the bold headline “SOMERVILLE NEEDS A HOSPITAL”. 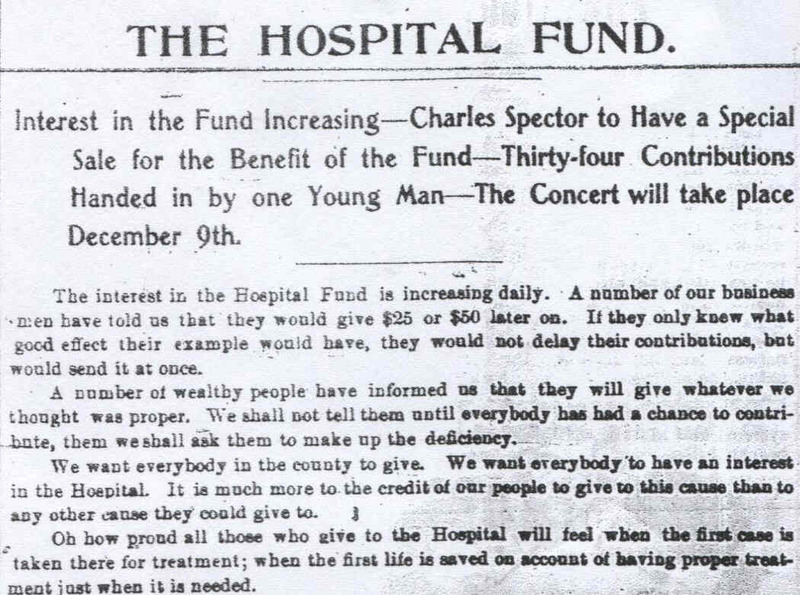 He cited the accident as a reason – writing “The injured and sick should have a better place than the county jail or poor house to be taken for treatment.” He put his newspaper office in charge of collecting the funds necessary to start a hospital. He wrote “We ask every man, woman, and child in Somerville and Raritan to contribute to this fund.” His plan was that when enough was raised a meeting would be called and a Hospital Association would be formed. David Messler promised that every person who made a contribution would have their name printed in the newspaper – a promise that was kept. He not only called for donations, but asked for the local people to hold fundraisers. 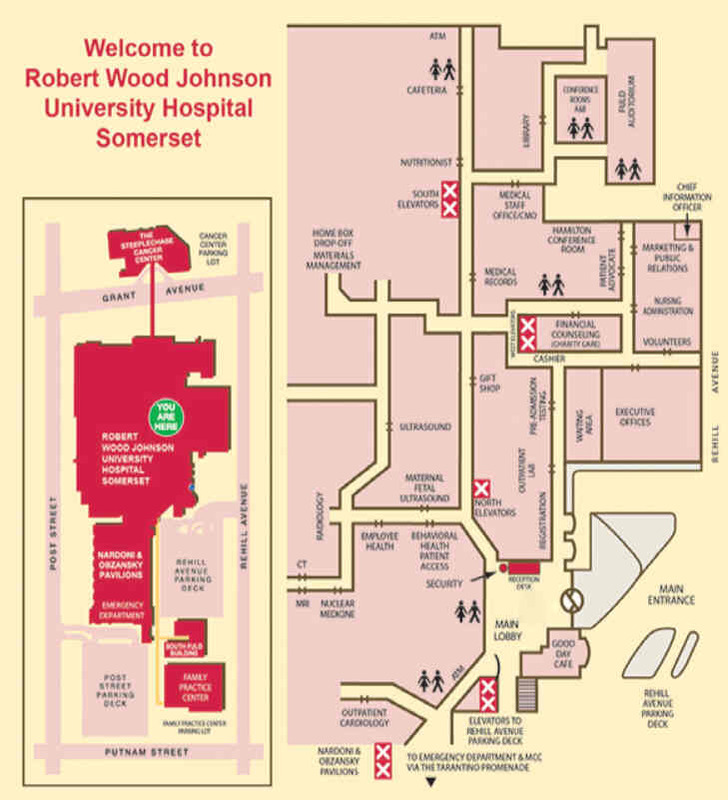 The next week’s issue of “The Somerset Democrat” again had the proposed hospital as the lead story. He told of the progress made, or more accurately, the lack of it. While a lot of “talk” had been generated by his last article, he had raised only $1.25. Still determined, he wrote “The town needs a hospital … if our wealthy people will not contribute towards it, we will raise the money from the poor.” He knew that this cause was about building momentum – the poor could get the fund started, then eventually the rich would take notice and join the cause. The third week saw the first local business contribute as the Schwed Brothers of Somerville gave $24.65. Also started that week were “chain letters” that were sent to local homes asking for both a dime and for them to pass on fundraising letters to four neighbors. For the first five weeks of the fundraising drive the town of Raritan did not have any contributors. But then a little girl, Lulu Liebold, sent in a donation with a note that was printed in the newspaper. The ongoing hospital fund drive would be on the front page of the newspaper each week. There David Messler gave various arguments for establishing a hospital and thanked those who contributed. But the drive would stall at times. Today as one reads the surviving newspapers (which are available on microfilm at the Bridgewater Library) one could easily think of David Messler as a madman. For he was trying to start a hospital, but he was not even raising an average of $40 per week. But he continued on with vigor and passion. For the fundraisers David Messler provided much assistance. 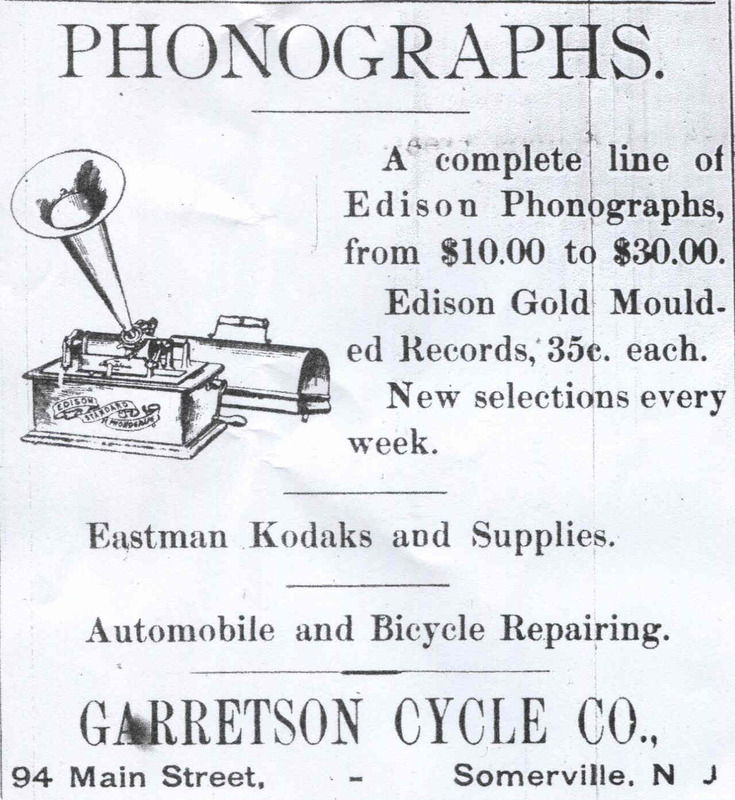 Not only did he advertise them in his newspaper, but he owned the Somerset Hall on Main Street in Somerville which he lent out free of charge for the fundraisers. There were various types of fundraisers - an opera, a minstrel show, a dancing festival, and a few concerts. Some were financially successful, while others were not. On January 9th 1899 there was an accident on the railroad that demonstrated the need for a hospital. In Dunellen two trains collided head on resulting in 16 dead and 30 injured. The closest hospital, which was in Plainfield, was filled so the badly injured had to take a long trip to Jersey City and New York to reach a hospital. 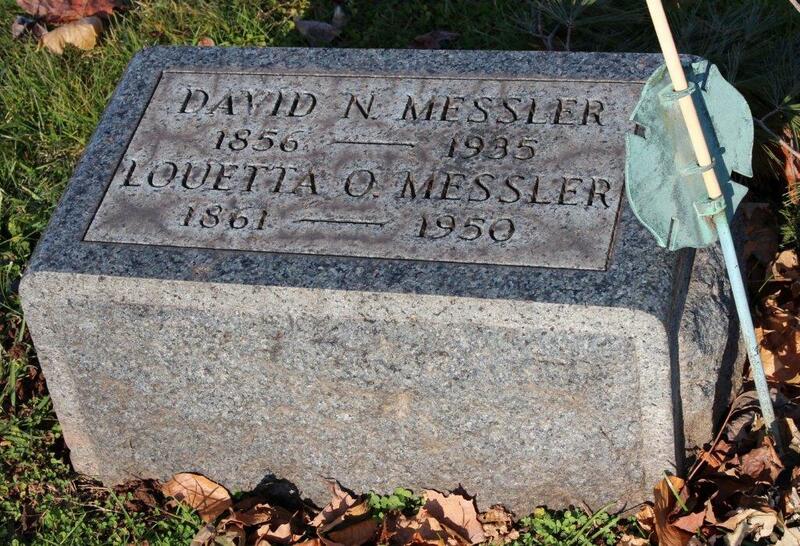 David Messler’s fund raising campaign went on for a year. Then with over $1000 raised he finally seemed to at last have the attention of the prominent local people. 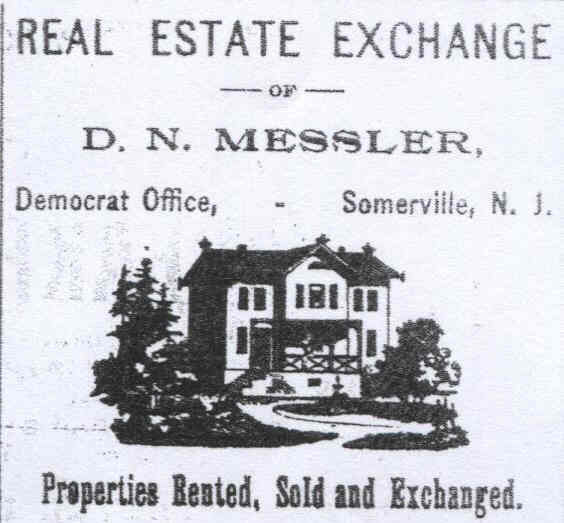 On December 6th 1899, David Messler, with some now believing prominent local businessmen and physicians, formed a corporation that they named “The Somerset Hospital”. With momentum now in place he handed over the creation of a hospital to the local businessmen and physicians - although he would still play a small role. 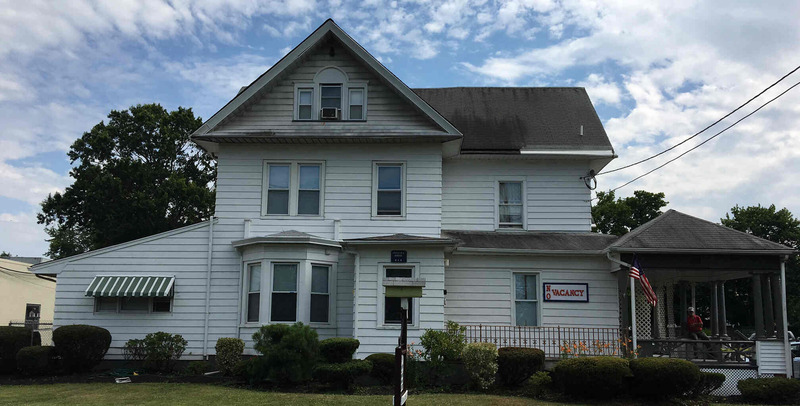 Over the next year the fundraising continued and in December of 1900 a home on East Main Street in Somerville was purchased to be used as a hospital. The location was ideal as it was along the trolley tracks and thus easily accessible for not just Somerville, but Raritan and Bound Brook as well. The hospital then opened two months later in February of 1901 with little fanfare as a place for emergencies. A staff person, who was there at all times, would call a local doctor when needed. At first it did not have much. But it was finally open and it would grow quickly after that. David Messler’s vision of a hospital for the local community has become a reality. Unfortunately today at the Hospital that was started through his determined effort there is no mention of him at all. There must be some wing or research lab in the RWJ complex that could use a name. 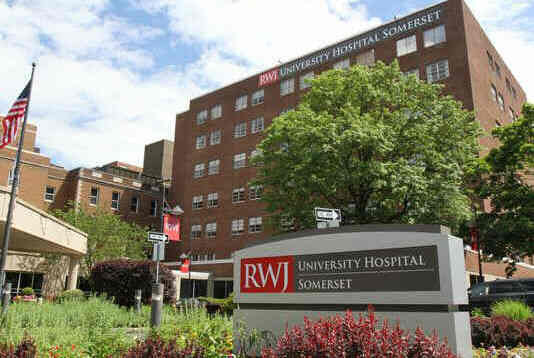 Part 2 of the “History of The Somerset Hospital” will be in the next issue of The Breeze. If anyone has a photo of David Messler or knows of any of his surviving relatives, please contact Bruce Doorly at bdoorly@verizon.net. The Hospital when it first opened in 1901 and that same building today. It is now an apartment building. It is located just across East Main Street from where the Hospital Complex is today.